Providing your chicken with good, nutritious food will ensure that your bird is best able to stay healthy and provide you with high quality eggs and healthy meat (if you’re planning to eat them). Chickens, just like any animal, have their own special nutritional needs that must be met. So, how do you get these things in your chicken’s diet? Below are some tips for providing your egg layers and meat birds with the best diet possible. Protein is essential for strong muscles and good growth. A single egg is, to a chicken, what the nutritional drain on a human would be if we gave birth to a baby every single day. They NEED additional protein in their diets to help counter the loss of protein in their eggs. Mixing soybeans in a dish for them to eat every day is an excellent way to provide them additional protein. Free range birds also have the advantage of eating bugs and worms. These provide protein as well as enjoyment for your birds. And, if you suffer from a yellow jacket problem, consider setting up a poisonless trap for them and feeding the bodies to your chickens. These little guys are an excellent and thoroughly enjoyed piece of protein. Once your chicken figures out that they can eat them dead, they’ll gobble them right up. 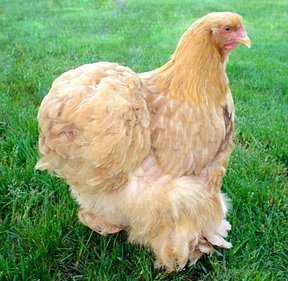 First and foremost it is important that small flock owners know and understand that grains must NOT be allowed to get wet and mold as this can KILL your chickens. Grains are generally any small, hard seeds such as oats, wheat, or corn that come from the grass family. They provide B-vitamins, phosphorus, and whole grains give protein. A whole grain chicken scratch that is scattered about the yard will give your birds the grains they need while providing them with good fun hunting around for the small bits to enjoy. A scratch made of whole grains is preferable to a solid cracked corn scratch. Greens are one of the easiest things to provide your chickens. Let them out into the yard and they’ll double as pest control and lawn mowers, and feed themselves a healthy diet while they’re at it. You can also feed your chickens healthy green scraps. Don’t give them anything that has molded, and stay away from known poisonous greens such as green potato peels, avocado skins and pits, and undercooked beans or raw beans. Grit is, essentially, small rocks and pebbles that the bird will swallow to help them digest their food as they have no teeth. Free range birds have easy access to grit and will pick and choose what is right for them at the time. Birds that are confined will need grit supplied to them at least once a month and it is necessary to make sure that you supply grit that is size appropriate. Don’t give a chick something much bigger than sand. Oyster shells and other forms of calcium, important in other parts of the diet, do not fulfill this part of the diet. It must be hard grit. The most recommended and probably easiest to find source of calcium is oyster shells. Free range birds will often receive plenty of calcium from the greens they eat, but keep an eye on their egg shells. If they are not getting enough calcium the shells will be “soft” and they will begin to eat their own eggs to get back the nutrients they are lacking. 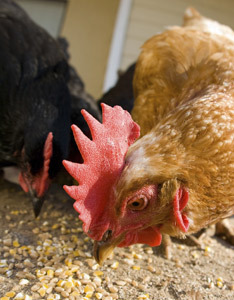 Do not feed chickens raw eggs or egg shells as this will develop a taste for eggs and they’ll eat more than you will. If you live in a place like the Northwest, and are subjected to long stretches of cloudy, dark weather, you will need to provide additional sources of these crucial vitamins (and you might want to look into supplementing them in your own diet as well). One of the best ways to provide this and and the salt necessary for number 7, is to go to the beach and pick up some kelp. Bring it home, rinse it out and dry it, then hang the leafy bits from a string for your chickens to peck at. They’ll enjoy the treat and also get the necessary nutrition. Hanging sea kelp is the best way to meet this need. 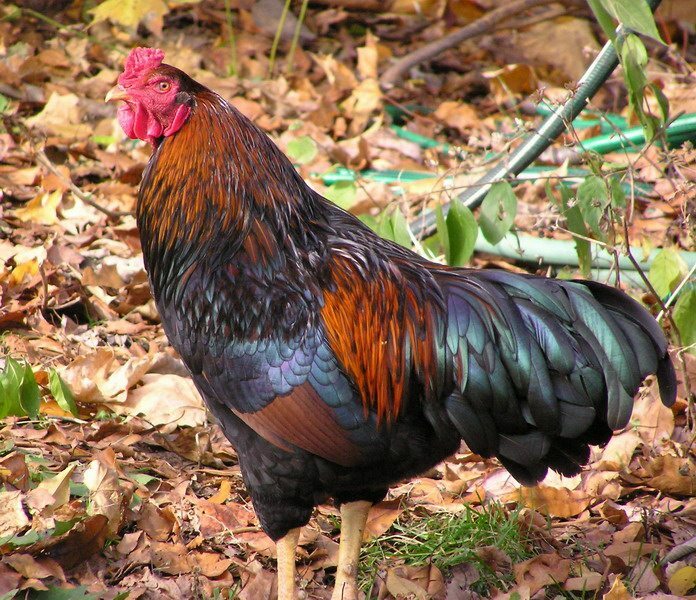 Chickens are not known for being the most intelligent of birds often will not make sure they get enough water if it is not out in the open and easily accessible… Easily CHICKEN accessible. The best way to make sure your birds receive the proper hydration is to keep the water in or near their coop where they can get to it without having to think- because as any chicken owner will tell you, thinking is not a chicken strong suit. Make sure you keep their water clean too, as they will refuse to drink water that is dirty.